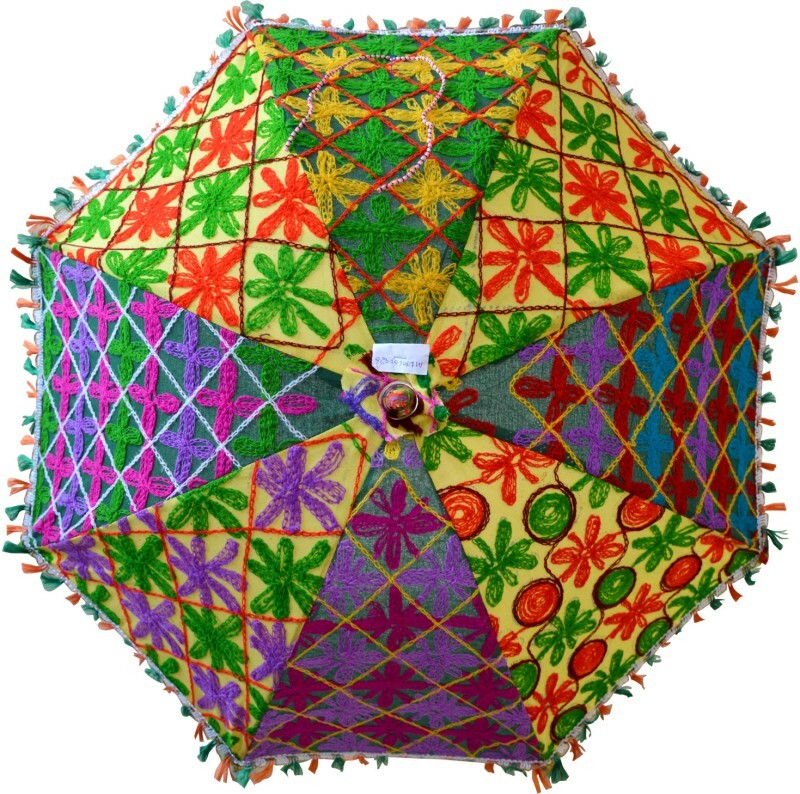 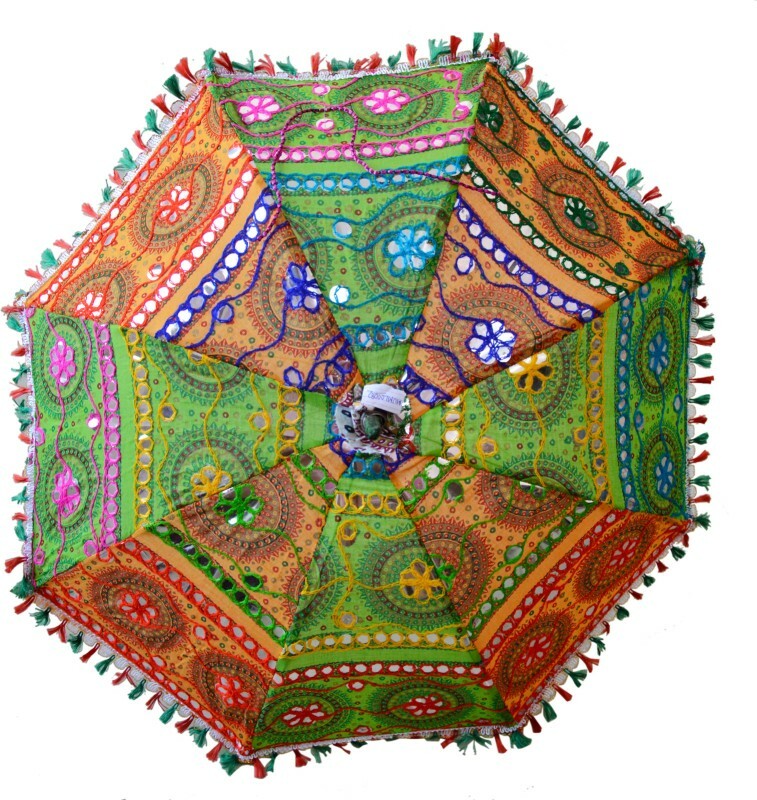 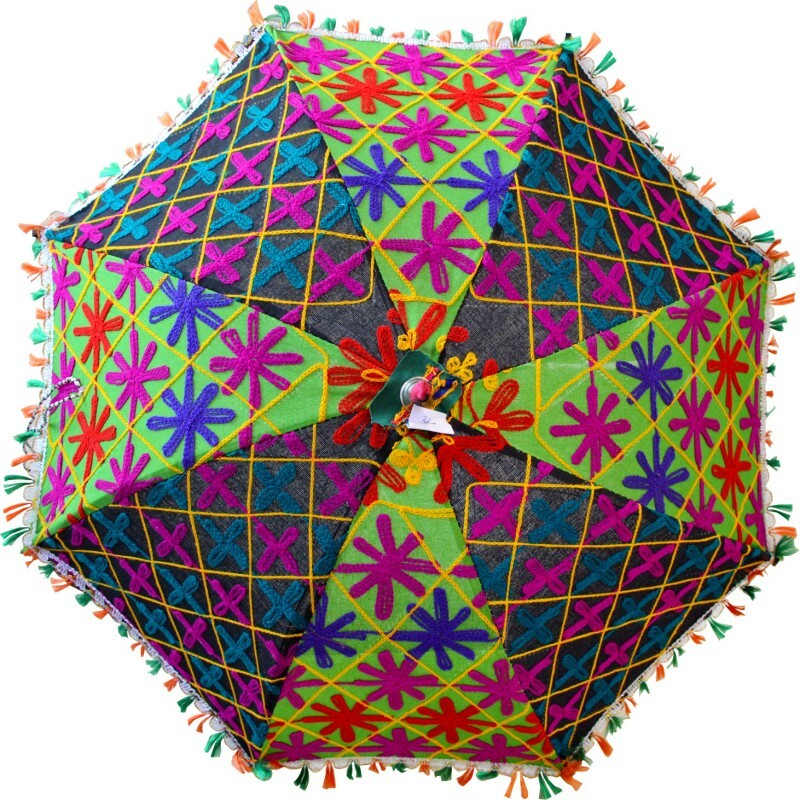 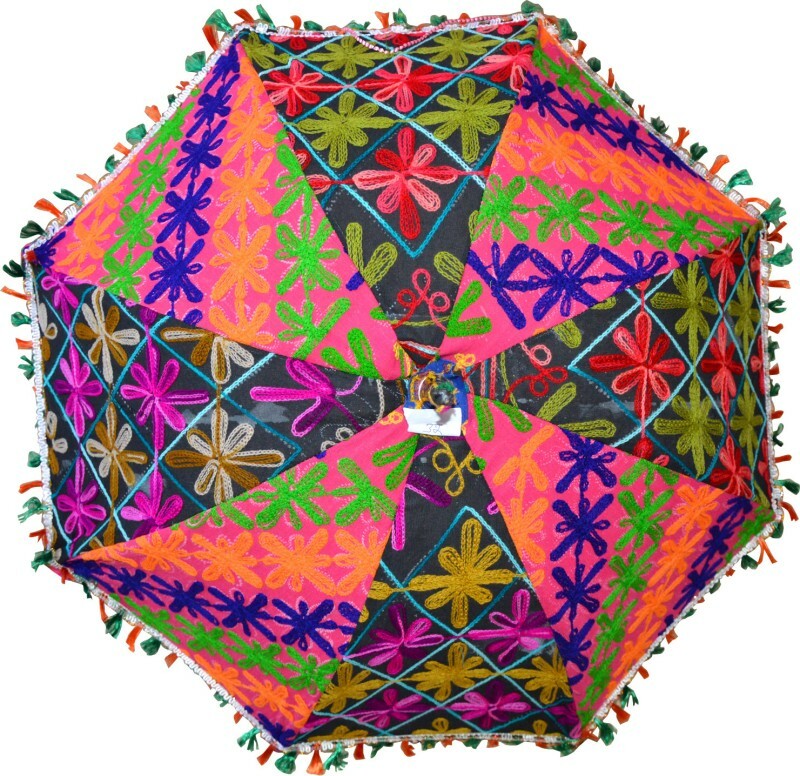 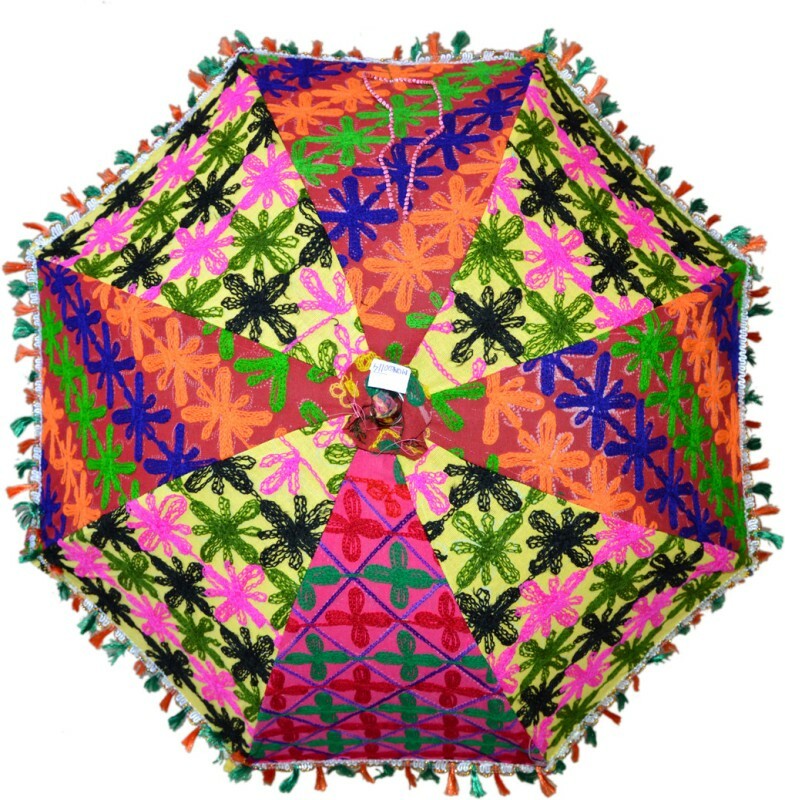 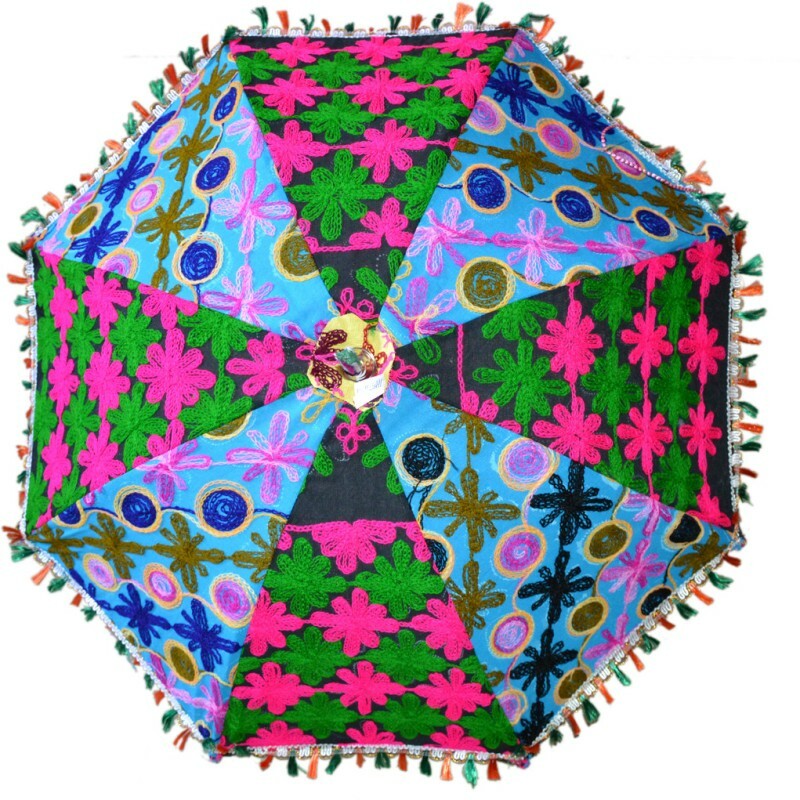 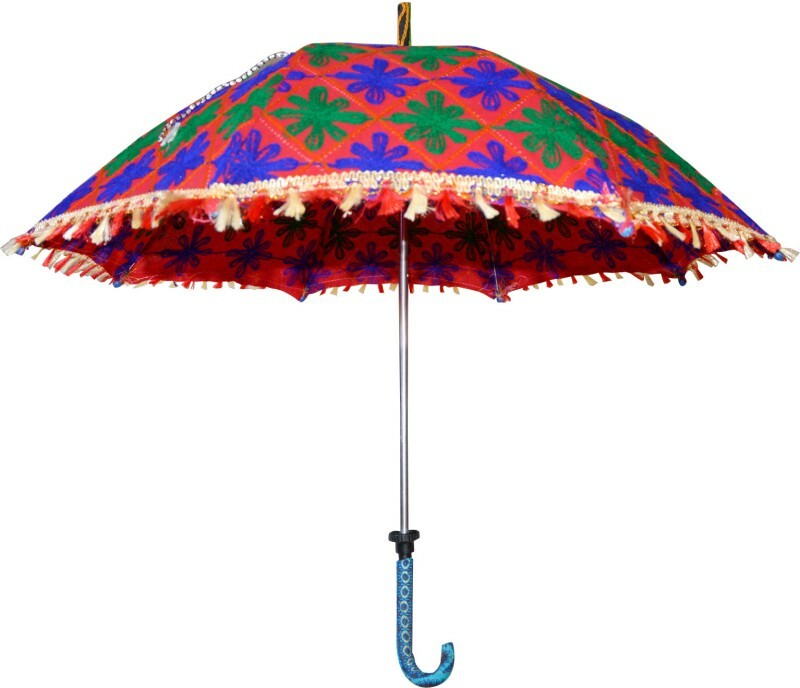 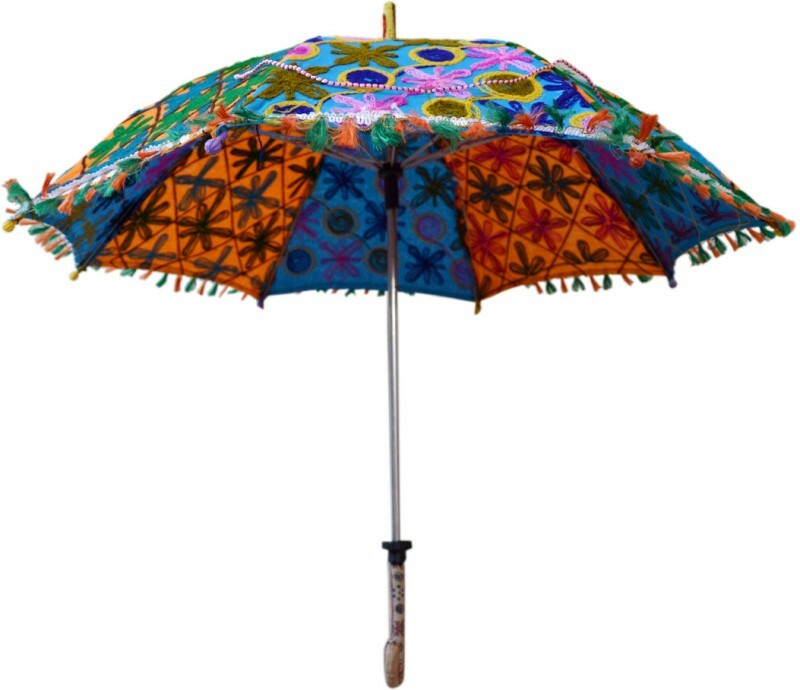 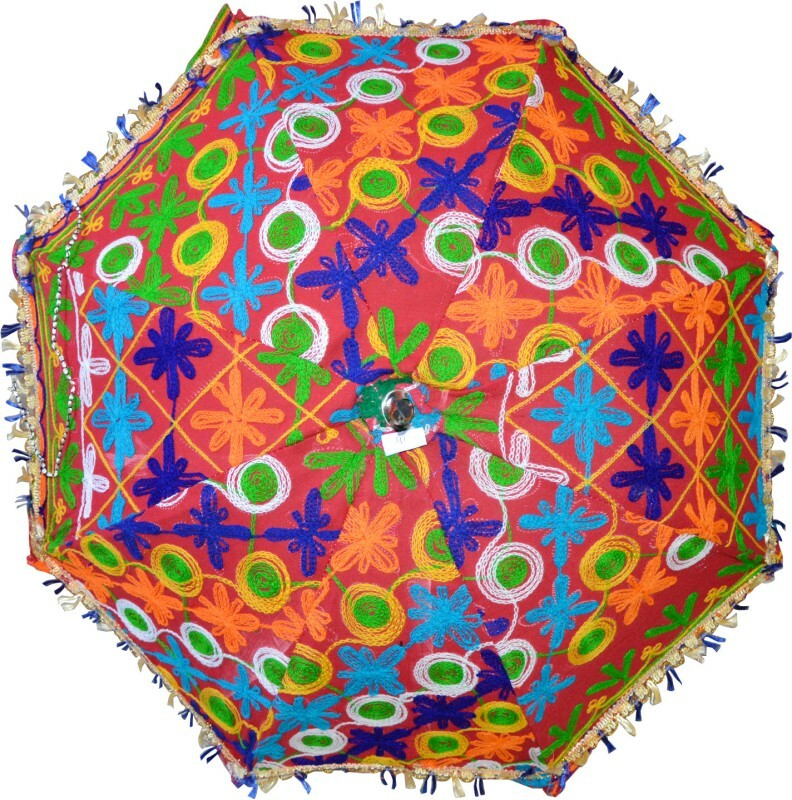 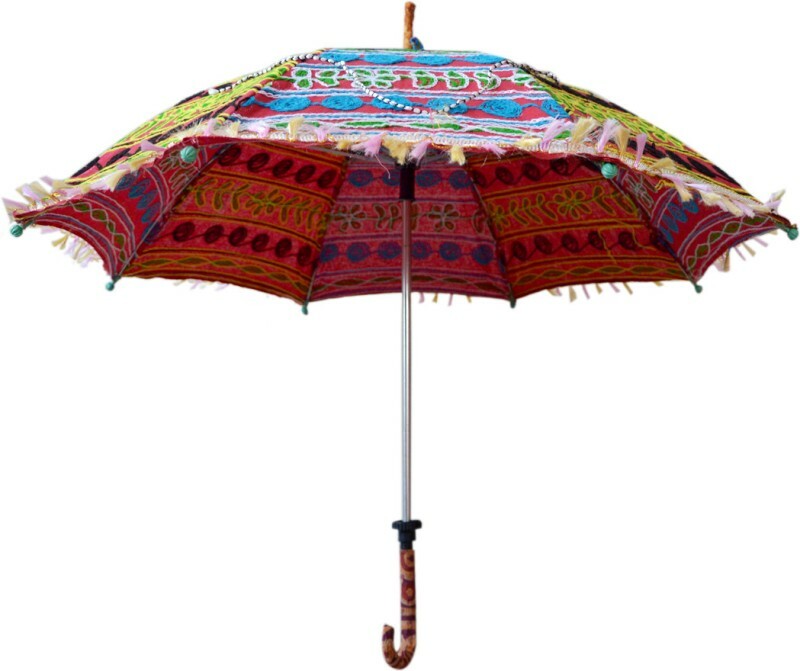 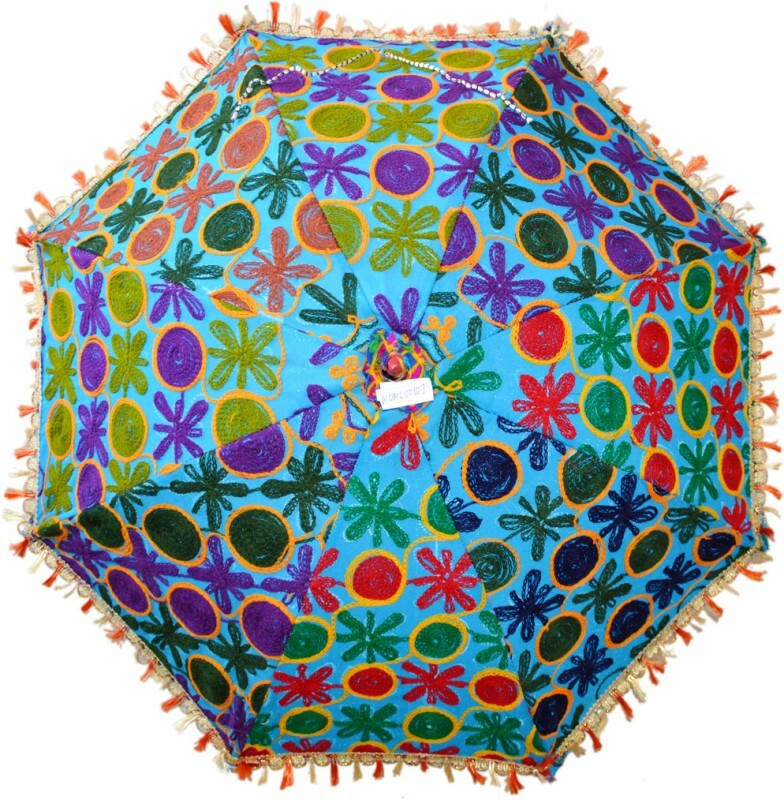 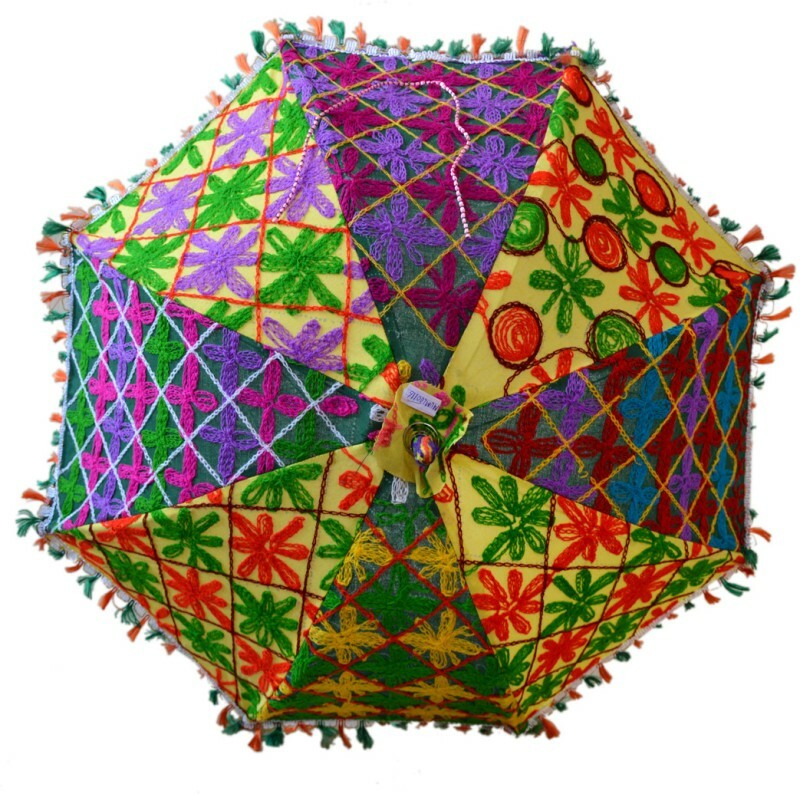 Height: 25, Diameter: 32 Inches, This umbrella is handcrafted by village artists in Rajasthan. 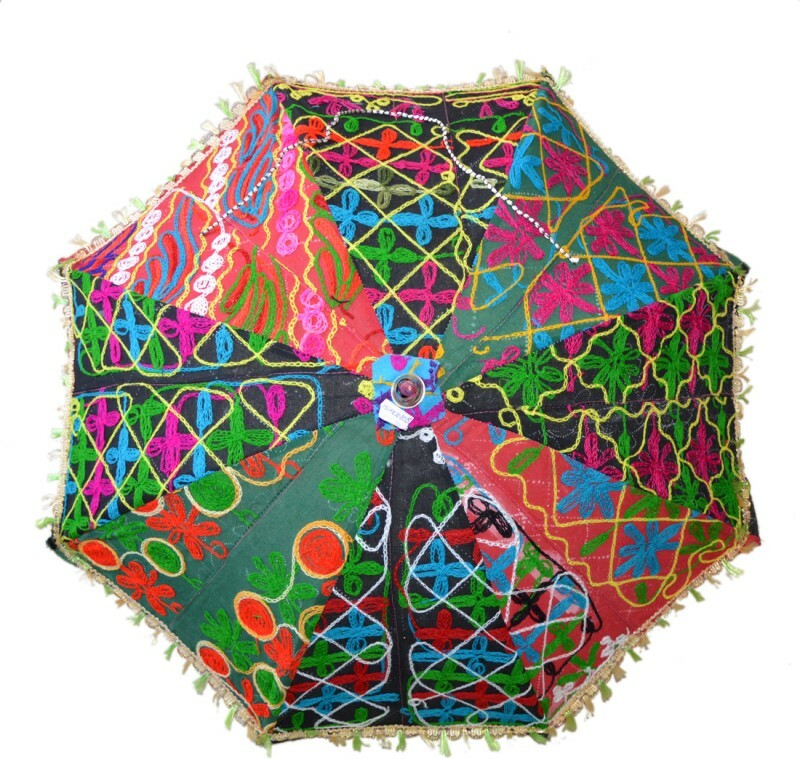 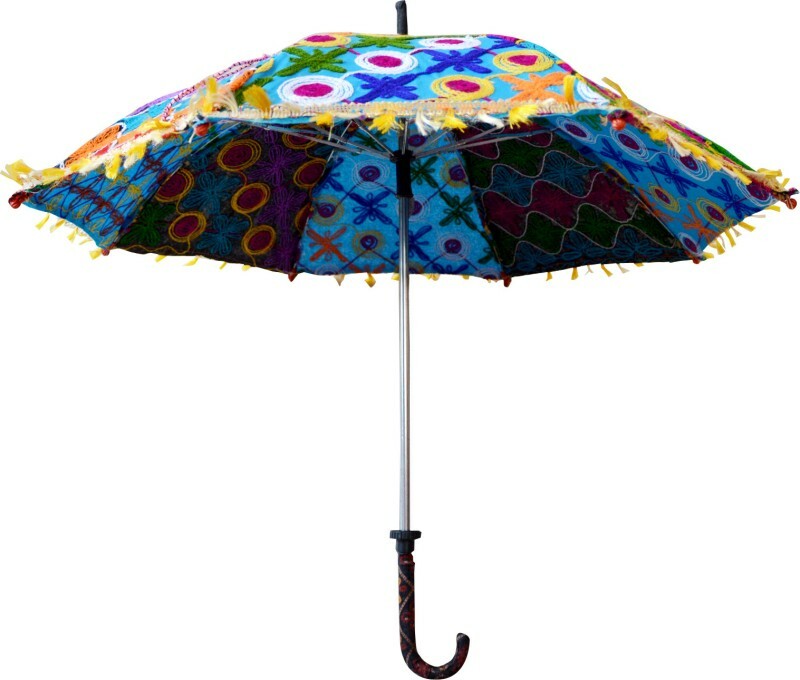 The umbrella is beautiful and complete Embroidery work. 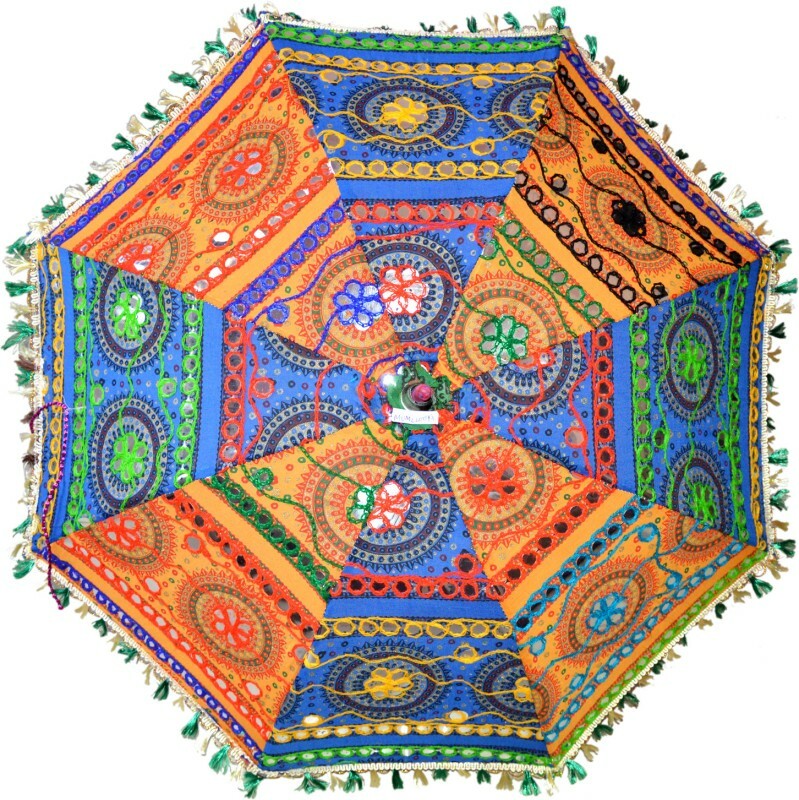 These handicrafts are designed in various color combination and are offered in a multitude patterns, various other specifications.